March 12, 2012 marks the 100th Anniversary of Juliette Gordon Low founding the Girl Scouts in the United States. New York has always played an important role in Girl Scouts history. 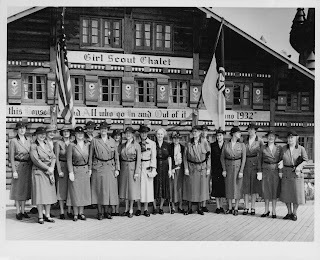 At the 1939 New York World’s Fair, Girl Scouts of the USA had their own building, a replica of Our Chalet in Switzerland, a World Association of Girl Guides and Girl Scouts (WAGGGGS) International Center. It was located at the beginning of the Children’s World in the amusement area and served as a welcoming center for Girl Scouts and their friends. Queen Elizabeth of England and Crown Princess Ingrid of Denmark and Iceland were among the visitors to the Chalet. 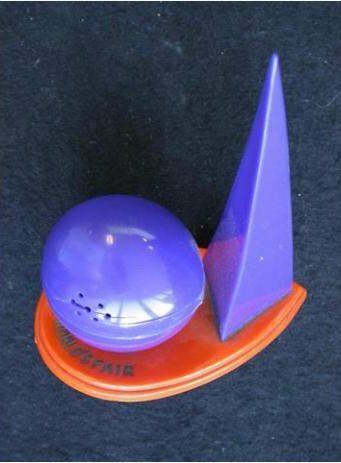 Special World’s Fair gifts and souvenirs, as well as Girl Scout equipment, could be purchased there. Learn more at the Girl Scout National Historic Preservation Center in New York City. On Sunday, February 27, at 2:00 pm, the Albany Institute of History & Art will host a free lecture by renowned graphic design expert Steven Heller on the topic, Designing the World of Tomorrow: Did the 1939 New York World’s Fair Change the World? Steven Heller is an American art director, journalist, critic, author, and editor who specializes in topics related to graphic design. 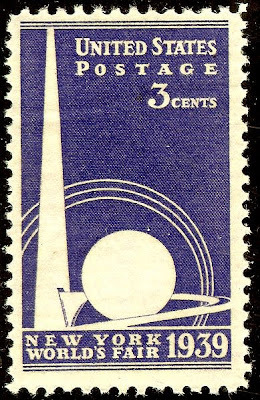 Heller will offer expert insight into how the 1939 World’s Fair—the second largest American world’s fair and the first to focus on the concept of futurism—affected powerful change in the world of graphic design. The lecture is being held in conjunction with the Albany Institute’s current exhibition, Graphic Design—Get the Message!, which uses posters, broadsides, package designs, paintings, decorative arts, historical photographs, and computer interactives from local designers and companies to examine broader issues of national and international significance. The exhibition and public programs are funded by a grant from the New York State Council on the Arts. Exhibition planning was funded by a grant from the New York Council for the Humanities. For 33 years, Heller was an art director at The New York Times, for both the Op-Ed Page and The New York Times Book Review. He is the co-founder and co-chair of the MFA Designer as Author program at the School of Visual Arts in New York City, where he lectures on the history of graphic design. The author, co-author, and/or editor of more than 100 books on design and popular culture, Heller has curated numerous exhibitions on the subject of graphic design. The lecture is free and open to the public. Museum admission is not included. Call (518) 463-4478 or visit www.albanyinstitute.org for more information.